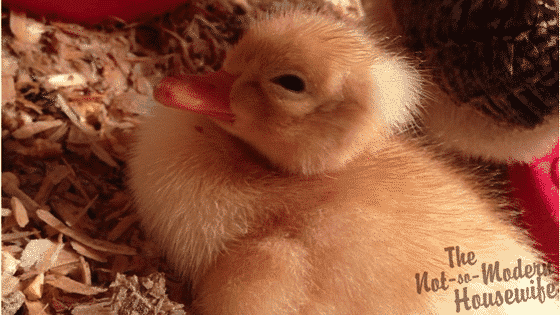 Ducks are growing in popularity as the latest additions to backyard homesteads; however, there is still some apprehension when it comes to eating duck eggs. 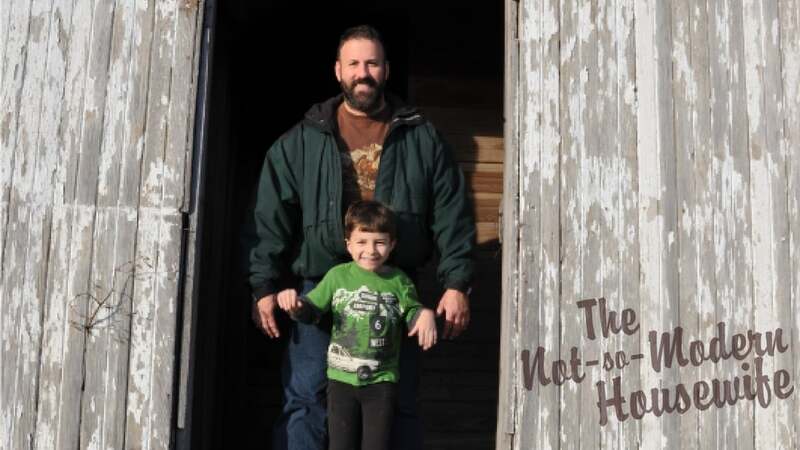 For those who have dared to venture outside of their comfort zones, many have found they prefer the rich flavor of duck eggs over that of chicken eggs. Ducks are also found to be easier keepers than chickens, being more disease resistant and (sometimes) easier to house. 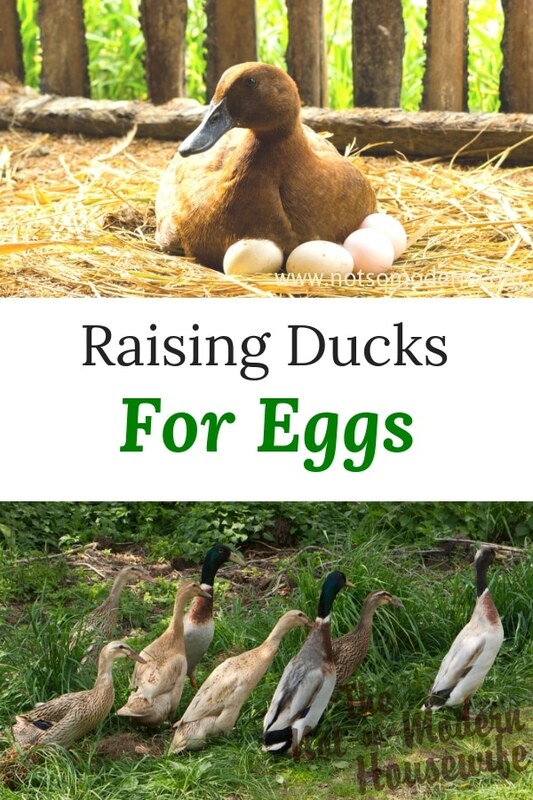 So what do you need to know about raising ducks for eggs, and how do you get started? At first glance, it’s easy to see the obvious size difference between duck eggs and chicken eggs. The average large chicken egg is 50 grams while the average duck egg is a whopping 70 grams. But what else sets duck eggs apart? 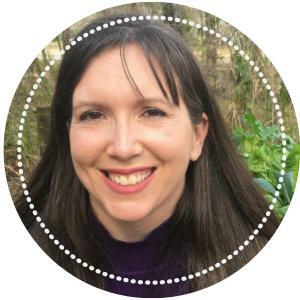 Let’s look at the basic nutritional analysis. Many people are quick to notice the increased fat and cholesterol present in duck eggs; however, it’s important to remember that not all fat is bad. Most of the fat present in duck eggs is monounsaturated fat, which is actually quite beneficial in lowering your overall cholesterol and risk of heart disease. Duck eggs also have more fat soluble vitamins like A, D, E, and K.
The increased fat content is what makes duck eggs popular with bakers. Increased fat in baked goods means more flavor, a softer texture, and a longer shelf life. Cakes baked with duck eggs are often described as being fluffier, while cookies made with duck eggs usually have a more cake-like consistency. Because of the increased size of the duck eggs, it’s important to weigh your ingredients. While a recipe may call for 3 chicken eggs, you may only need 2 duck eggs. Duck eggs also tend to keep longer than chicken eggs. They are designed to be more water resistant than chicken eggs, so their shells are thicker and less porous. This results in less moisture lost from the egg, which is generally what makes eggs go bad. 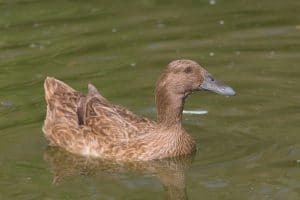 Khaki Campbell – 250-340 eggs per year – Khaki Campbells are probably the most popular duck breed for egg production. They are a light weight bird, with an average body weight of 4 to 4 1/2 lbs. They are very active birds and make excellent foragers. Welsh Harlequin – 240-330 eggs per year – The Welsh Harlequin was developed from the Campbell breed, and so retained much of the former breed’s egg laying abilities. They are slightly larger than Campbells at 5 to 5 1/2 lbs, but they are also excellent foragers. Magpie – 220-290 eggs per year – Magpies have a more upright stature, similar to an Indian Runner, with a wider frame. Adults range from 4 to 5 lbs in weight. They are known to be very active foragers and will often be used to control snails, slugs, and insects on farms. They are known for being “high strung” and may fly short distances if startled. Ancona – 210-280 eggs per year – The Ancona is similar to the Magpie in appearance, but is slightly larger with a mature weight of 6 to 6 1/2 lbs. They are good foragers and are known for their ability to eat large slugs. They have a relatively calm disposition, which makes them good pets. Indian Runner – 200+ eggs per year – The Indian Runner’s unique body shape gives them the ability to cover large areas in search of food. 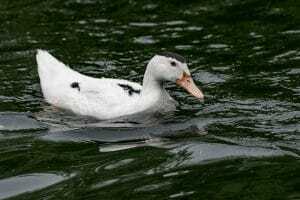 Historically, flocks of Runner ducks were herded to growing areas during the day where they would help to control snails, slugs, and insects. They are not a very heavy duck, averaging 4 to 4 1/2 lbs at maturity. Ducks can be messy, and will need access to water to drink and bathe in, so they need a space large enough with good drainage that will still allow for a dry area to get up out of the mud. If you live in an area that experiencing freezing temperatures, they will also need a place that is warm, dry, and free from drafts. Ducks don’t generally move very fast either, so they will need somewhere to go where predators cannot get to them. Depending on your predator load, this will probably also mean a house that can be closed up at night. It will need to be strong, where a raccoon cannot reach through wire and grab a bird. The latches should be somewhat complicated as well. If a two year old human can open it, so can a raccoon. And lastly, ducks don’t climb very well, so they will need a house and nest boxes that are low to the ground. Ducks do very well free ranging. They will be quite content if all they have is a secure coop to sleep in at night. They may do some digging in the mud to find bugs, but they don’t scratch like chickens. Established gardens have little to fear from a flock of ducks. Ducks will lay their eggs in the mud if given the opportunity. Providing them with a comfortable nest box that is dry and protected will usually avoid this issue. Try to keep the opening low so they don’t have to climb into the box, and have it secured somehow so it doesn’t tip over. Mature laying ducks need at least 14% protein and a source of calcium in their diet. 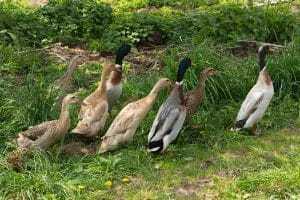 If free ranging, ducks can meet a lot of their nutritional needs through bugs and plants, but it is still recommended to have a balanced commercial feed available to them as well. You may also want to have free choice oyster shell available for calcium. Birds are very good at knowing what they need, so having the feed available will ensure they have a balanced diet. If free ranging is not an option for you, ducks can easily meet their nutritional needs through commercially available layer feeds for chickens. However, without forage available to supplement their diets, they will require more grain than their chicken counterparts. And don’t forget the water. Ducks need access to fresh, clean water during daylight hours. (They’ll be ok if you lock them up at night without water inside the coop.) You will want to give them separate water for drinking and bathing, so make sure you have both available. It is best to have their drinking water near their food supply. 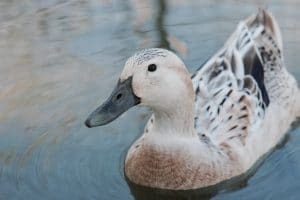 You’ll notice that ducks will dip their bills in water between bites of food. 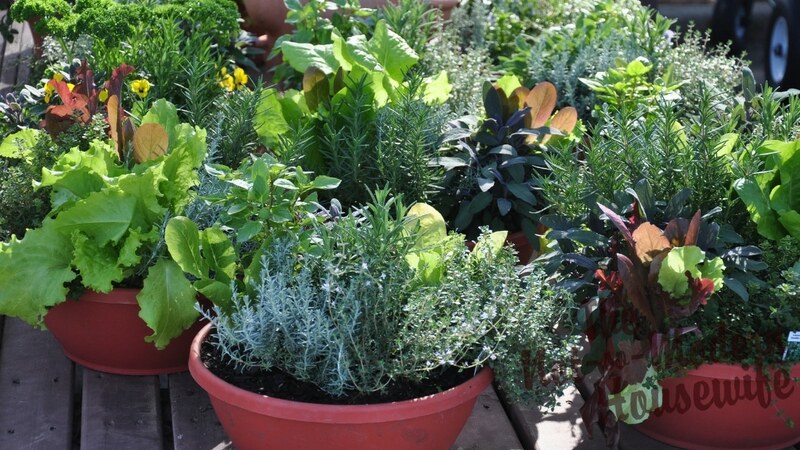 While it may make a mess, it also helps them with digestion. 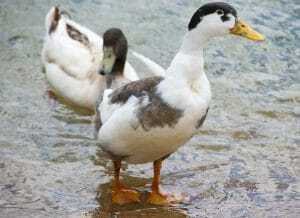 Ducks eat and drink by dipping their bills into their food and water to scoop it out, so ensure their dishes are deep. Most commercial chicken feeds will not work for ducks. I use small rubber tubs for food and hanging feeders for water. For bathing, I’ve found that a large concrete mixing tub works best. Duck eggs have thicker, almost leather-like shells as compared to chicken eggs. 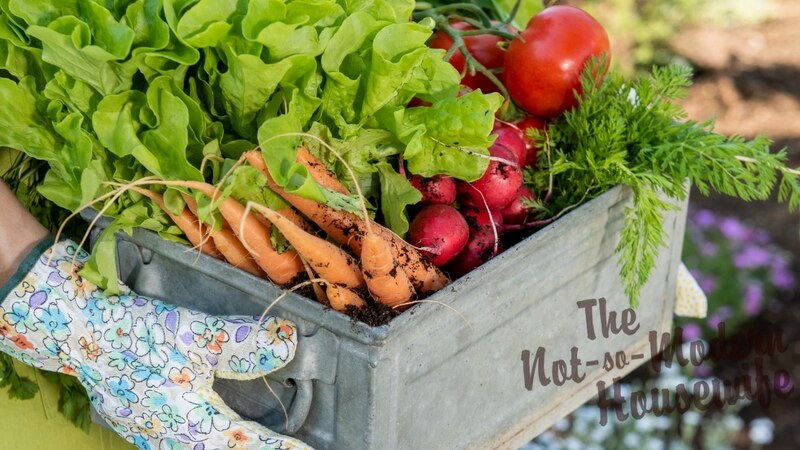 This means they do not lose moisture as quickly as chicken eggs and stay fresher for a longer period. Otherwise, their handling is very similar to that of chicken eggs. 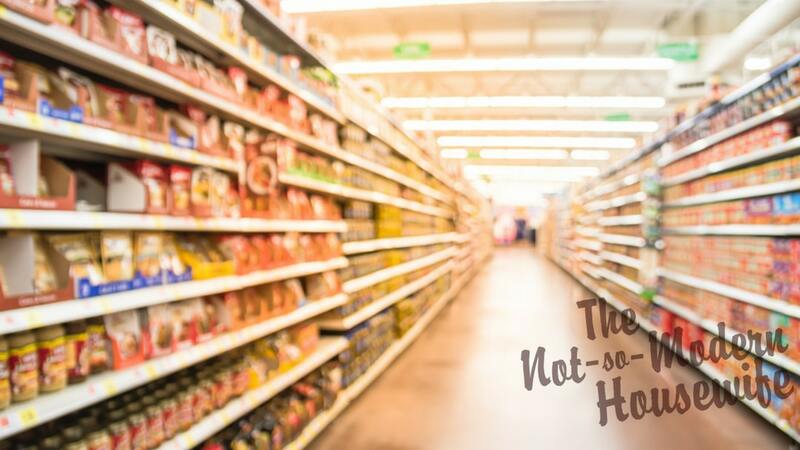 Refrigeration – The debate rages on about whether it’s best to refrigerate or not refrigerate your eggs. There really isn’t a “best” answer to this argument. It is personal preference. Unwashed, unrefrigerated eggs are perfectly safe to eat, although they will spoil more quickly than refrigerated eggs. Washed eggs must be refrigerated because the protective bloom has been removed from the egg. Personally, we refrigerate our eggs because we can’t eat them as fast as my birds lay them. Eggs can still be refrigerated unwashed, then washed before use. Handling dirty eggs – Dirty eggs should be washed with warm water as soon as possible, then refrigerated. Eggs are porous and cold water will cause those pores to constrict and pull bacteria into the egg. Water should be slightly warmer than the egg itself so dirt, debris, and bacteria can be safely removed from the shell. Dirty eggs that are allowed to sit become more difficult to wash and spoil more quickly because of the increased risk of bacteria being pulled into the shell. Providing a clean nest box is the best way to avoid dirty eggs. Storage – Even if eggs aren’t being refrigerated, the eggs are best stored in an egg carton with the pointy end down. The egg contains an air cell in the fat, blunt end of the egg. Keeping the air sack up will slow down the moisture lost from the egg. The egg carton will also keep the eggs covered and protected from fowl odors that they could absorb. Fresh Eggs Daily has a good, detailed look at how to store fresh eggs. Duck eggs are a popular food around the world. The eggs are larger and have a richer flavor than that of chicken eggs. Their yolks are also more firm and make a terrific runny fried egg. Their increased moisture and fat content make the eggs prized among among bakers. 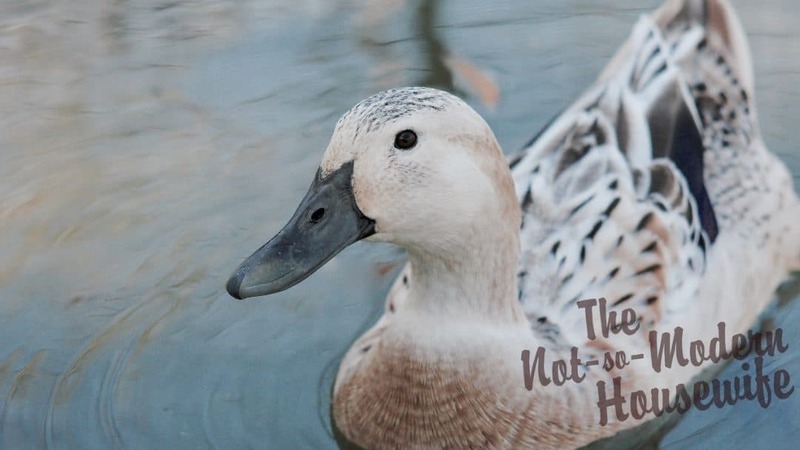 Plus, many duck breeds tend to lay as well if not better than many chicken breeds. They are truly an under utilized animal on the homestead.